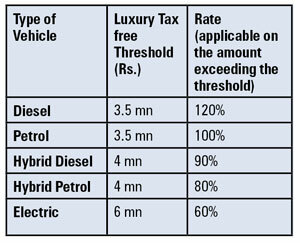 One of the key proposals that has attracted the attention of the most, in the Budget 2019 is the proposal pertaining to Luxury Tax (LT) on motor vehicles. 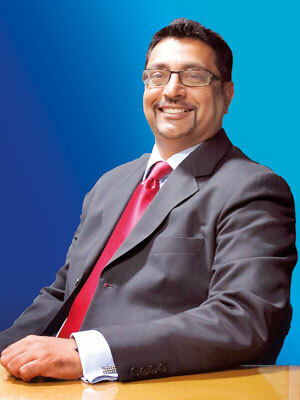 Although many believe that the LT is a new tax, it is only a misconception. The LT is not a new tax introduced in the budget 2019 and its origins could be traced to the budget proposals 2018 presented on November 9, 2017, though the masses have realised the impact only now. In the Budget Proposals 2018 the tax was first mentioned as a substitute for “Annual Luxury Tax on Motor Vehicles (ALTMV)” introduced by Finance Act No 16 of 1995 which is payable spanning across seven years by the owners of luxury and semi luxury motor vehicles (including dual purpose). As per the Finance Act No 35 of 2018, though the ALTMV would not be applicable after 1st January 2019 on new vehicles, the vehicles imported / assembled and registered prior to 1st January 2019 and subject to ALTMV would continue to pay until the expiry of the remaining period of the total of seven years. The LT on motor vehicles introduced via the Finance Act No 35 of 2018 is a one off tax payable at the point of import to Director General of Customs. As per Section 19 of the Finance Act of 2018 the “Luxury Tax” is imposed on every specified motor vehicle of which the first year of registration falls on or after the date, and at the rates, as may be prescribed by Regulations made under the Act. The specified motor vehicle is defined. In relation to registrations after 6th March 2019 where the vehicle was imported during the period 1st January 2019 and 6th March 2019 and the assembled vehicles, the new LT is payable to the Commissioner General Motor Traffic. It is significant to note that the policy makers due to an oversight have not addressed vehicles imported and registered during the period 1st January 2019 and 6th March 2019 as well as assembled vehicles registered during the same period, i.e 1st January to 6th March 2019 from the imposition of both new LT and the previously applicable Annual Luxury Tax on Motor Vehicles. Petrol vehicles with cylinder capacity more than 1800 cc. Diesel vehicles with cylinder capacity more than 2300 cc. However an anomalous situation could be observed in the budget proposal 2019 through attempts to impose LT on hybrid vehicles too by inclusion of the same in the Regulation to be issued under Section 19 of the Finance Act of 2018 by the Minister. The content of the budget speech 2019 pertaining to LT is the formula to be prescribed under the Finance Act 2018 and not an amendment to the Principal Act itself. Hence unless an amendment is executed to the Act, hybrid vehicles cannot be exposed to LT as the law stands today. In case of a conflict between the Primary Legislation (the Act) and Secondary/Delegated Legislation (Regulations by the Minister), the Primary Legislation would stand. As for the formula referred to in the Budget Proposal, the LT on motor vehicles will be imposed on the CIF value or the manufacturer’s price as the case may be in excess of the LT free threshold. After the budget proposal was presented on March 5 it is understood that moves have been suggested to amend the Finance Act of 2018 to extend the scope of LT to motor vehicles even below the cylinder capacity of 1800 cc for petrol vehicles, 2300 cc for diesel vehicles and 200 kw electric vehicles i.e all vehicle. Though it could be justified that the amendment should cover hybrid vehicles exceeding the stated thresholds, extension of the scope to all vehicles is unacceptable to the stakeholders! In such an eventuality it is apt to change the name of the tax itself as the title would become a misnomer.